Over the holidays I ran a bundle sale on my books to raise money for a local dog rescue shelter. And thanks to you, $344.44 was raised! This was my first charity fundraiser done with Roleplaying Tips, and I’m very happy with the results. My wife has cut a cheque and given it to the people to help pay veterinarian expenses they recently incurred. I really appreciate your support. Thanks very much, everyone! When cultures blur together, your games suffer. Your players might even scoff. “How can you tell the Doring and the Gull apart?” “Easy! Doring rhymes with boring, and Gull rhymes with dull…. So I’ve put together an easy technique you can use to make cultures distinct and flavourful. I call it Heroes & Legends. The idea is to pick a culture or sub-culture and wrap what makes it special into a story – a legend. This legend becomes an easy way to guide roleplaying. 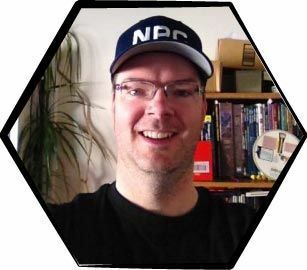 Example uses would be for races, cults, wizard schools, nations, city districts, factions – all the special peoples in a campaign you want to make different. The idea in part came from famous people whose pages I surfed recently on Wikipedia. Stories about Warren Buffet, Abraham Lincoln, Vince McMahon, Michael Jackson, etc. These people have “legends” told about them, and in that respect those stories reflect the flavour of a nation’s unique culture. What I like most about this technique is how easy it makes roleplaying during the game – the time when you need culture distinction amongst NPCs and locations the most. Here’s the core tip in brief. I’ll describe the full recipe on how to create everything later in this article. Create a very short story that exemplifies the culture so you can remember and roleplay anyone from that culture at the drop of a hat. I use a 3 Line Culture format to make first iterations fast and easy. I often need to create several cultures and sub-cultures at once, especially factions. And I don’t want to use up all my available prep time by losing myself in over-designing one culture. Then I create an NPC using the 3 Line NPC format. Finally, I create a short story, about a paragraph, that turns the NPC into a hero and legend for my culture. The legend exemplifies the culture. It’s a memory hook for thinking faster on your feet and making preparation easier. That’s the recipe in summary. Looks pretty fast and easy to you, I hope. Belief: Every person has rights to live free and to make themselves successful. Main Goal #1: Become wealthy as individuals and as a kingdom. Contradictory Goal #2: The King must serve and protect his subjects even if it means sacrificing their freedoms. Rituals: Weekly tax collection, gambling as frequent pastime. Appearance: Middle-aged man, thinning hair, medium build and average height. He was typically found with two of his sons combing over paperwork and speaking with merchants and business owners. Portrayal: Intelligent, hot-tempered, expected things to be done when he said, as he said. Had little patience for poor quality work in a job. Hook: Ran a banking business. He took gold in one location and offered parchment receipts that could be exchanged back into gold at one of several distant locations. The business actually belonged to his wife’s father. Unknown to him, his 16-year old son was secretly the new master of his home city’s thieves’ guild. When the thieves’ guild nearly broke his business, Fendell recruited mercenaries to disrupt the thieves’ operations. With ruthless efficiency he attacked the guild for five years until victory was assured. In the final showdown, he confronted the guild’s leaders, ready to hang them. But then he discovered his son was the leader. They fought with words and knives until the son finally agreed to work for his father. The bank became even more prosperous, and father and son mended their relationship. This story tells me, whenever I create or roleplay an NPC from the kingdom of Quill, they have a material success orientation, thieves and merchants work together (as an ethical orientation), and you don’t push these people around. These were my thoughts as I wrote that legend using the Lego pieces of Quill’s 3 Line Culture and Fendell’s 3 Line NPC write-up. These ideas are encoded into this story for me. And when I have two dozen cultures made up, I’ll have mastered their roleplay because their stories will stick in my mind a lot better than cold stat blocks. Ok, before I describe the technique in full, let me share a few thoughts on cultures in games. I like simple. It keeps my head on straight. Information overload blocks my creativity. So I wanted a simple way to figure out what makes one culture different from another, how to GM that culture in its unique way, and how to remember all that at the game table. Heroes & Legends was my answer. To me, a culture is any community with shared beliefs, behaviours or way of life. A race can be a culture. So can a sub-race, kingdom, village, dungeon area, cult, guild, religion or faction. Collect a group of NPCs and give them persistent things in common, and I call that a culture. For example, some RPGs have wizard specialities (necromancy, illusion, evocation, abjuration) and holy domains (war, luck, knowledge, death). You could think of each as its own culture. That presents some cool world building and gameplay possibilities. But what’s the actual roleplaying difference between Evokers and Abjurers? Or War cults vs. Death cults? Same goes for how you’d GM NPCs from rival thieves guilds or entourages from different kingdoms. Or even how you’d GM people from different city districts. In fact, I think culture is essential to vibrant game worlds and believable roleplaying. If NPCs don’t have cultural traits, then everyone in your game is just some random bag of quirks. So culture is the first and best way to make NPCs seem real and interesting, because they’ll first project their cultural biases and tendencies. This gives you an easy script to follow for all your NPCs, especially the many minor ones you haven’t fleshed out yet. You know you’ve nailed it when your players meet several NPCs and treat them differently just based on their cultures. For example, the PCs learn to treat Silverdagger Rogues different because the guild’s reputation is to hit hard and fast anyone who messes with their members, and it’s impossible to divide and conquer these criminals because they’re such a tight brotherhood. So unlike other criminals, the PCs treat these ones with respect and prefer to use influence and diplomacy over threats and coercion. I guess that’s the ultimate measure of success for your cultures. They cause the players to change their treatment, approach or perception of NPCs. Good culture design changes PC behaviour, at minimum by giving them something extra to think about. Start with the primary belief. What do all members of the culture believe is most important, by default? [CULTURE NAME] believes that _____________. Abjurers believe the best offence is an impenetrable defence. Evokers believe we are all made up of pure and powerful energy. Members of the Death cult believe there is an afterlife for everyone, but the quality of afterlife depends on how powerful you become during life. Members of the War cult believe it is critical to die well by fighting bravely on the battlefield. The Doring believe The Great Mother takes good care of all who tend the world’s garden. The Gull believe southwest is a holy direction because the God of Storms sends the annual typhoon from that direction each year. Can you see how just this one simple statement sets the stage for differences between NPCs in gameplay? Your world gets deeper. Feel free to add more beliefs to a culture. While one should remain dominant, more beliefs gives you more ways to make NPC groups feel strange, alive, deep and worth exploring. For extra dimension, create conflicting beliefs within a culture. This generates juicy tension you can flare up whenever you like. For example, maybe Abjurers also believe you should always be open and honest, a bit of contradiction to defensiveness. Sometimes Abjurers struggle to be on guard but forthcoming, something clever PCs can work to their advantage. Note that beliefs are open to interpretation. You haven’t defined many Dos and Don’ts here. This gives you lots of options when roleplaying or designing sub-cultures or groups within groups, aka factions! This brings us to the next element, aims. Now we need a direction for our cultures. This is how we can take two groups of NPCs from even the same culture and make them feel different in the game. For better plotting, factions should deeply cleave a culture. Based on its belief, or modified by its belief, what does the culture want? Give your culture at least two conflicting major goals. Members of the Death cult believe there is an afterlife for everyone, but the quality of afterlife depends on how powerful you become in life. At this point, you can make each goal a separate faction, or you can keep the culture unified with conflicting aims. Both make for good gaming. The last part of our three-step model is to figure out a few things each culture does to achieve their goals consistent their beliefs. If examining a culture at the world level, Rituals are ceremonies, actions and behaviours passed from member to member, generation to generation. These actions would be the quirks and idiosyncrasies you find described in world books and player handbooks. For example, the Gull stop at noon each day and face the southwest and pray for clear skies, clear thoughts, clear paths. And Abjurers always live in sturdy homes on solid foundations, preferably built of metal or rock. As you work with smaller groups of culture members, their plans, tactics and actions become unique to that region or group. Customs emerge and evolve. And most worlds do not have media empires or the internet for members to communicate, compare and normalize. This presents a great way to create sub-cultures. These groups share the central beliefs of the parent group, but their aims and rituals are different, perhaps more short-term or reactionary to local threats and challenges. For example, Abjurers in the city of Karthage dwell together in a compound heavily guarded by magic wards, trusted guards and diabolical traps. However, Abjurers in Mar’Dan pretend to live in flimsy bamboo towers, but they really operate out of secure caves and tunnels they’ve been carving out for 25 years. Also, Karthage Abjurers are waging a terrible inquisition against all Gull in the city, but Mar’Dan Abjurers have been forced into a coalition with Gull against the greater threat of a golem-making megalomaniac. Karthage Abjurers would surely call their Mar’Dan brethren traitors. In this way, our setting evolves and deepens as localized traits get applied to cultures. With a basic idea of what a culture is about by understanding its beliefs, aims and actions, we’re ready for the core method: Heroes & Legends. Create a 3 Line NPC from the past, and have them perform a famous, heroic or legendary deed that exemplifies the culture. This becomes your mnemonic for remembering the culture as you GM and how to roleplay it. We remember stories better than abstract information and facts. Creating a short story of an NPC’s deed gives you a great memory hook for game guidance. It also gives you a new detail for your world per culture – a famous NPC, historical event, and a legend. 3 in 1 sounds great to me. Keep it simple, stick to the short 3 line format. You can flesh things out anytime later, but right now we’re more interested in building the culture than an NPC. Also, you can use any kind of NPC. A knight, a beggar, a noble’s wife, a king, a monster. It doesn’t matter their origin or station. In fact, unexpected details only enhance the legend. How could a homeless boy become a Gull legend? Make sure the NPC reflects the culture in one or more ways to better symbolize the legend’s message. Our NPC must do something to become famous. He needs a conflict. Some foe or force that attacked or blocked him. Make the conflict also symbolic of the culture. For example, who is the enemy’s foe? Or what is the opposite of a culture’s primary belief? Or what force could block a culture’s aims? The conflict could be from another NPC, a contradictory belief or idea, another culture. For example, a member of the Death Cult who tried to gain mortal power for glory in the afterlife was blocked by Abjurers who were protecting those he sought to conquer. How does the story end? Do this in a way that demonstrates the culture’s beliefs, aims and actions. Do a literal copy of these, if you can, so the legend closely matches what you need to remember about the culture. Our Death Cultist turned to a strong Gull faction being persecuted by Abjurers. He lead his new allies in a short-lived siege and defeated the defenders handily. Every Abjurer was slain and sent to the afterlife, making the cultist a powerful new warlord in the land. He then turned on his Gull allies and sent them all to the afterlife too, turning him into a legend amongst his people. Did you like the new tools introduced to you today? I think 3 Line Cultures and Heroes & Legends will help make everyone in the game world from becoming a homogeneous blur. They help you paint groups of NPCs with an interesting brush so races and factions really do feel strange and interesting. If you make some 3 Line Cultures and Heroes & Legends, send them on over and I’ll share them with your fellow RPT subscribers. Thanks. Need an NPC in a hurry? Can I offer you 450 of them? 3 Line NPCs gives you 450 instant NPCS plus instructions on how to make your won.